Hi Jenny, let me start by saying that I love, love, love your stickers. So, let’s start this chat. I am a born Miami (Cuban girl) Who loves her Seminoles! I am a stay at home mom, with one little boy and two lab dog babies. I was originally on a career path that I loved every minute of. I was a safety manager for a renewable energy company that built wind turbine parks across the US. My husband is still in the renewable energy sector! I miss my job but I like my new adventure. How and why did you start making stickers (tell me about your journey in planner/stickersville)? I actually started making stickers for myself because I had purchased a ECLP and really could not make it work for me. I stumbled across some IG accounts with awesome layouts and I already had a cameo because I do some vinyl orders and I just started experimenting! I have always been a crafty person so I love seeing people use my products and love them! I feel better when I am creating! Right now in the shop we have lots of “pre cut” washi as well as samples and a wide variety of planner accessories such as stickers, tassels and planner bands. I also offer really cute planner buddy kits that are a surprise combination each time! OK, so, now let’s move on to planning. How do you plan? I am the WORST planner, I need to plan when I do plan I feel better and I get more done! It is making the time to plan that gets me. I use lots of stickers but I also leave lots of white space, I am not one to cover every inch of white space. I like to put sticky notes on future dates so that I do not forget stuff, but I really do most of my planning on a day-to-day basis. 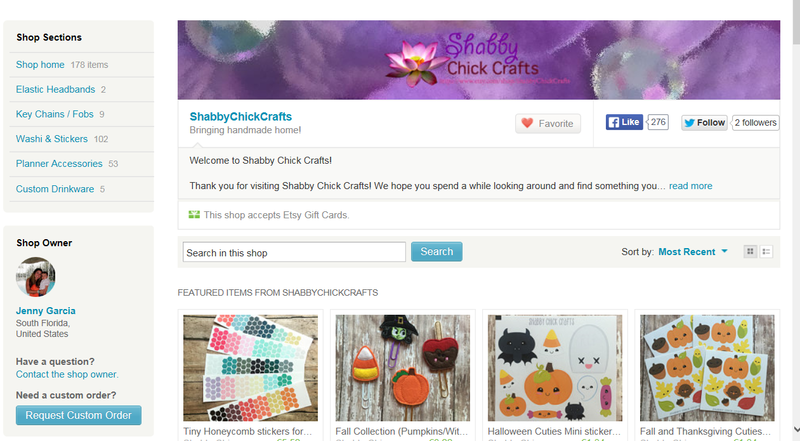 Check out Shabby Chick Craft’s Etsy store cause she has amazing stickers. I have alreadmy placed an order and can’t wait to get my stickers. Weekend is right around the corner lovelies, so happy planning. I have more interviews and freebies+ coupon codes coming your way, so follow this blog if you do not want to miss out!! If you liked this post, you should also check out Michelle and Patch’s interview and FruVesasPrintables’ interview.